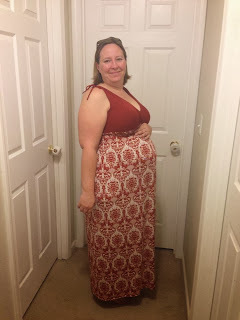 When you are pregnant you are always looks for cute and trendy maternity clothes to wear. Well when you want cute maternity clothing then you need to look to Pink Blush Maternity. PinkBlush Maternity is dedicated to bringing our customers today's cute and trendy maternity clothes at low, low prices. 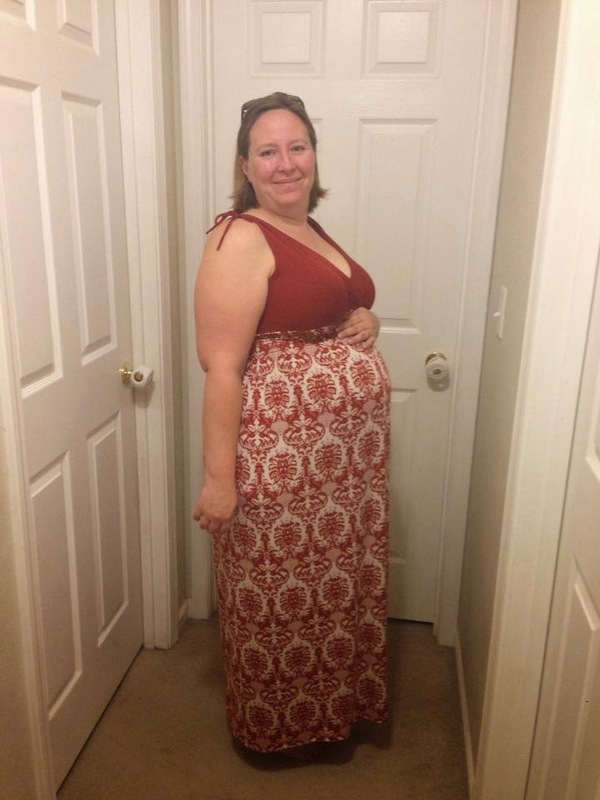 While most maternity clothes out in the market are boxy, boring and expensive, we pride ourselves on having a wide selection of unique maternity styles at great prices. By selling exclusively on the Internet, PinkBlush Maternity is able to maintain very low operating costs and we pass those savings on to our customers by offering prices 15%- 30% off many of our competitors. We also change our inventory often, so our customers always have access to today's hottest fashions and trends. 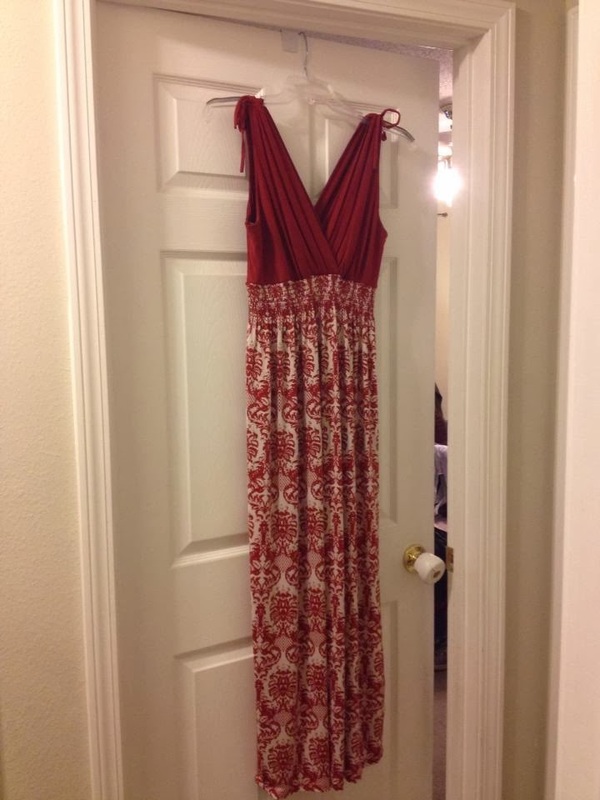 I asked for the help of my friend Nicole who was about 36 weeks pregnant and she picked out this beautiful Rust Printed Maternity/Nursing Maxi Dress and it is on sale for $28.99. 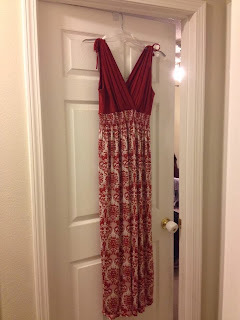 A printed bottom solid top maxi dress. Cinched under bust. V-neckline perfect for nursing after pregnancy. I was extra surprised when I received it and the fabric was a lot nicer than I thought it would be and it looks so nice on her. She loved it and looks really nice. Pink Blush Maternity also has a lot of tops and bottoms to choose from as well. They are super nice and they are offering one lucky TTGG follower a $25.00 GC for whatever you want on their site! 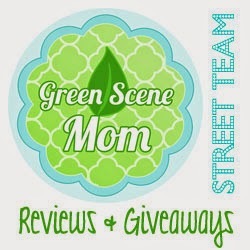 Entrants who have won a giveaway from Pink Blush Maternity in the past 6 months, or have hosted a giveaway in the past 6 months, are not eligible to win a gift card again.